Come experience a joyful and meaningful celebration this Christmas Eve at 2:00 pm+ 4:00 pm. We invite you to wrap up the season of Advent—of waiting and longing for the Messiah’s arrival—by welcoming the coming of Jesus Christ into the world. Come enjoy Christmas songs, creative elements, a biblical message and the lighting of candles. Because through these moments we will present the good news of Jesus, which is a promise of God’s hope, peace, joy and love for a weary world in need of a Rescuer. Are all the services on Christmas Eve the same? Both Christmas Eve Candlelight services in the Worship Center, at 2:00pm and 4:00pm, will be the same Candlelight Service (in English with ASL available at the 4:00pm service). 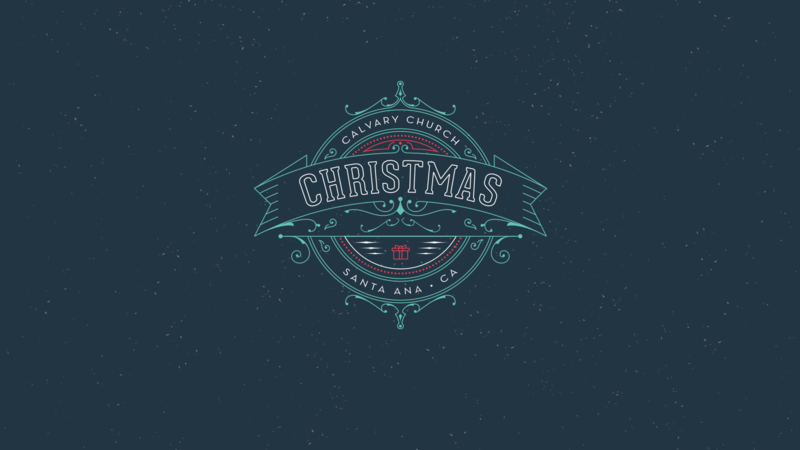 What happens at Calvary’s Christmas Eve Services? The 1-hour Christmas Eve Candlelight services will include great Christmas music, lighting the Advent candles, and a talk from the Bible. Visitors are not asked to stand up or do anything embarrassing. In all that we do, our desire is to present the good news of Jesus, celebrating His coming into the world and the difference He can make in all of our lives. We hope you’ll wear whatever makes you comfortable. You’ll find plenty of people dressed casually (t-shirts, shorts, jeans) and others dressed a little snazzier (slacks, dresses, skirts). Just come as you are. We have programs most Sunday mornings for Nursery up through High School. On Christmas Eve we invite all kids to join together with adults in our Candlelight Services. Families with very young children are welcome to enjoy Worship Center services together as a family with a live video overflow feed in the Nursery. What kind of church is Calvary Church? We’re a non-denominational Bible-teaching church that has been part of the community since 1931. Discover more about Calvary HERE. Will I be expected to give anything? Nope. We do give an opportunity during the Christmas Eve Candlelight service for our members to financially support the programs we run in our community and around the world, but guest are not expected to give. Find out what giving to Calvary goes toward HERE. How do I get to Calvary? Calvary is located at 1010 N Tustin Ave, near the 5 and 55, in the heart of Orange County. Parking is accessible by turning off of Tustin Avenue onto either Wellington Avenue or Fruit Street. See Map + Parking Details HERE.